Fall is one of my favorite times to get outside and participate in running events because of its moderate temperatures, the brilliant coloring of the trees that decorates the Michigan landscape during this time of year, and there are always fun and interesting themed races going on -- especially revolving around Halloween. There are races where participants are chased by zombies, fun runs where everyone is encouraged to wear a costume, events that have runners trick or treating along the route and others that are like taking a jog through an outdoor haunted house. 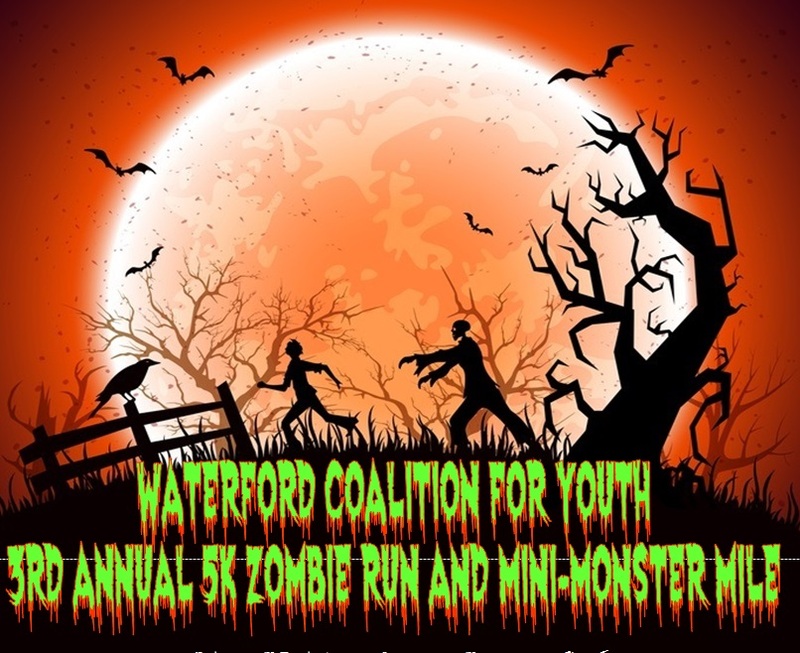 There is plenty of spooky fun to be had if you are up to running a 5K right before Halloween. Run through a 3 mile route through the trails of Midland's City Forest park trying to avoid a hoard of local middle school and high school kids who have been transformed for the day into flesh eating, human loving zombies. Dodge the zombie-infected teenagers without them capturing the flags attached to your waist to win the race. 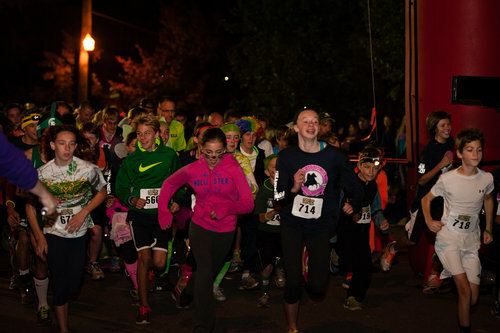 Round up your family and friends to run this nighttime race through the sleepy streets of downtown Howell and into the shadows of Lakeview Cemetery dressed in costume as your favorite Halloween character. Just one of the Halloween themed activities going on in the city that weekend as part of its The Legend of Sleepy Howell festival. Run through the scenic trails of Hess Hathaway Park and beware the zombies! 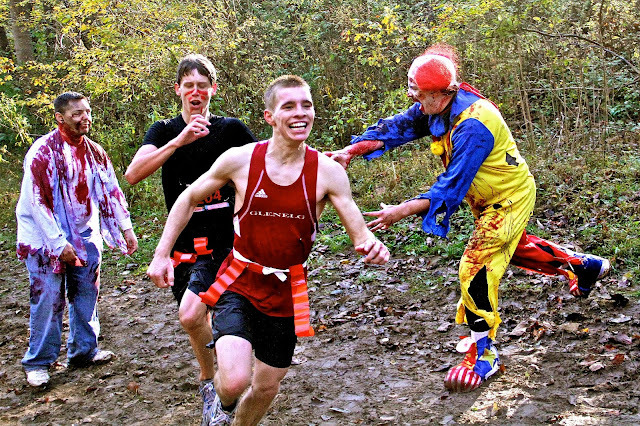 They don't chase you in this fun run but they may scare you. Runners are actually encouraged to dress up as zombies themselves and their are some awards for best costumes. There may be a lot of zombies at this event but they won't interfere with you while running the race course. Run a haunted 5k trail after dark through the Shepard High School Cross Country Course which will be full of Halloween fun! The woods will be filled with ghosts, goblins, zombies and other spooky things positioned throughout the course who will try to scare you out of your running shoes. All entrants will receive a headlamp to wear as part of their registration to help them safely navigate the fun run route. All entrants are encourage to wear a costume. All Pumpkin Run participants receive a pumpkin at the finish line. 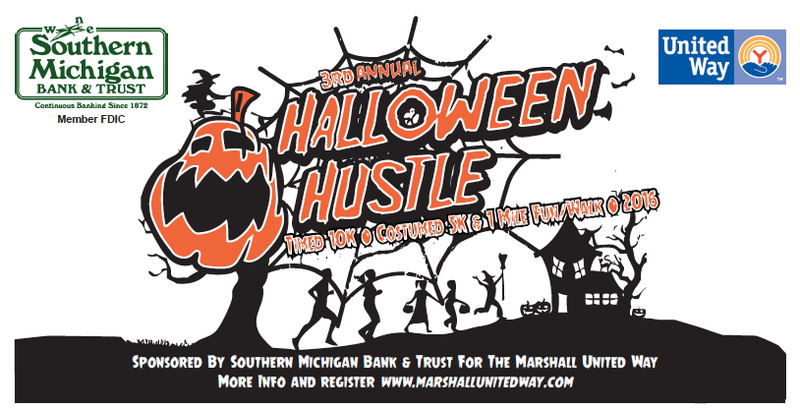 Support United Way with your entry fee for this race through the historic neighborhoods of Marshall, Michigan. Costumes are optional but encouraged. Burn off some calories before you eat all of that Halloween candy and get extra use out of your awesome costumes with your family, friends, and neighbors. This event will make you laugh, smile and sweat all the way to the finish line at the Clinton Township Civic Center Trails and grounds. 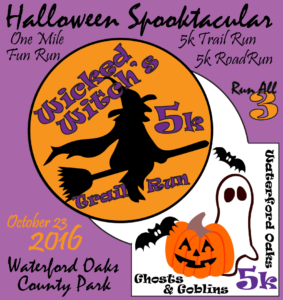 3 spooky themed events in one event - 1 Mile Fun Run; Wicked Witches 5K; Ghost & Goblins 5K, Run all three or just pick one or two of them to participate in. Participants receive unique swag for each race they run at Waterford Oaks County Park. This event's 10K provides a super natural challenge as participants run through wooded trails filled with obstructions and challenging terrain. Race across floating and stationary superdecks, fields and a small stretch of road. Be prepared to hurdle downed trees, wade through tall grass, and sludge through some mud. The 5K is a slightly less strenuous course that pits runners against one another on a narrow trail. For the kids are two options -- a 1/2 mile fun run or a two loop 1 Mile race. 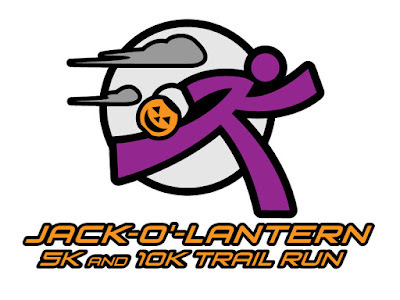 Run through the beautiful backwoods of historic Almont Townships Orchards in a fun Halloween themed race. Prizes for both Best Times and Best Costumes for event participants with cider and doughnuts provided at the finish line. Support the Meridian High School Band Department in this fun run/walk with prizes for best costumes, medals for top finishers, and t-shirts guaranteed for all participants registered by October 21, 2016 that takes place in Sanford, Michigan. 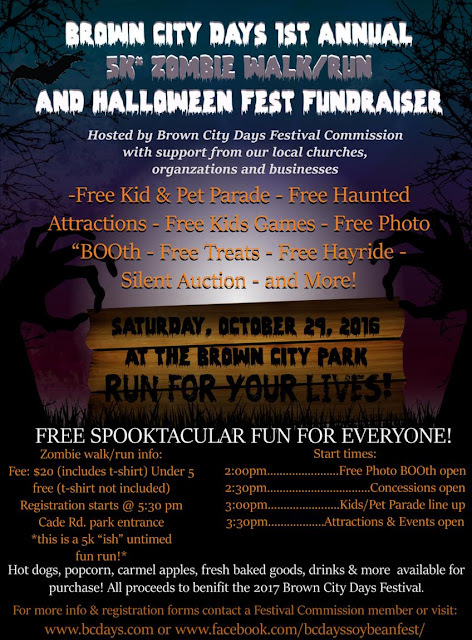 A spooky fun run and walk taking place in Ann Arbor to help tackle a scary problem troubling many families -- substance abuse. Proceeds support CARE of Southeastern Michigan which has served as the area’s lead referral source for substance abuse treatment since 1977. There are three options to choose from: Thrilling 5k, Mummy Mile, or Kids Monster Mash Dash. The Scare for CARE 5K starts just before sunset, that spine-tingling interval between daylight and dark. Dress up as one of the ethereal spirits known to roam the earth at this hour or wear your favorite costume. Then run, walk, or creepily crawl our dusk-lit 3.1 miles, but beware: you never know what frightful sights conceal themselves along the course, just waiting to provide even more hair-raising fun to your race! For those guys and ghouls who prefer a less eerie distance, we offer up the Mummy Mile. Ideal for those seeking a spirited sprint, the Mummy Mile is also perfect for walkers, for families and fiends, and especially for younger participants, who can trick-or-treat along the way at our Candy Aid Stations, manned our friendly, non-frightening cast of characters. Our littlest wizards and witches can enjoy a fun run all their own: the Monster Mash Dash! Open to competitors ages 8 and under, the Monster Mash Dash features a kid-friendly 100-meter sprint leading to the very same finish line that Mummy and Daddy will cross. 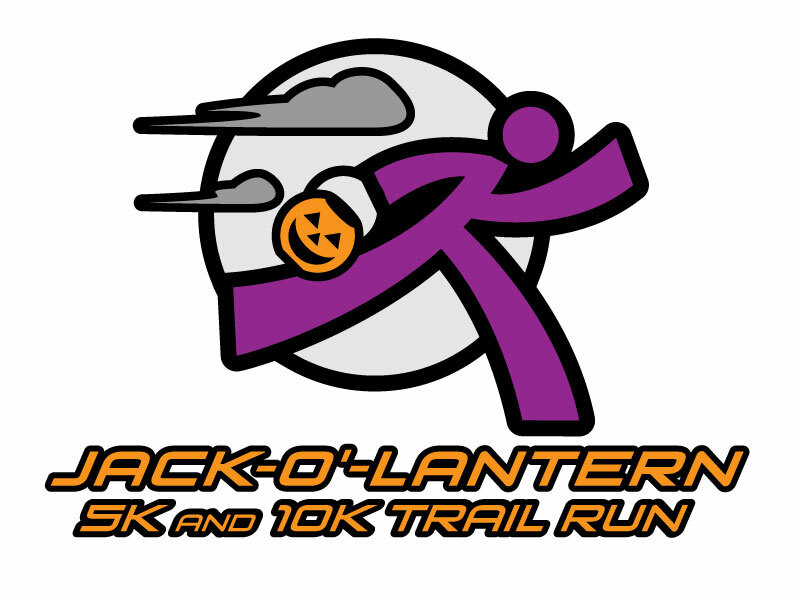 Earn a fantastic glow-in-the-dark finisher medal by participating in the largest Halloween Run in the state. It promises to be a wicked good time! Costumes are encouraged and there is a contest that rewards the most ghoulishly dressed. A great event that starts and finishes from Plymouth's Kellogg Park that includes 10K, 5K and 1 Mile options to participate in. Fun Runs / Walks are a great opportunity to get outside for some exercise, experience an out of the ordinary activity, and often times support the fundraising efforts of a charitable or community group. 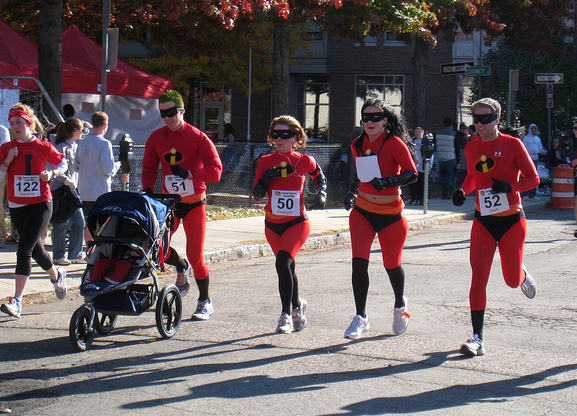 Is there a Halloween running event near you that is fun to participate in? If you don't know there are a multitude of online running directories that provide a calendar of events taking place either regionally, state-wide, or locally. Lace up your sneakers and get out there if you can! Just don't let the zombies bite!